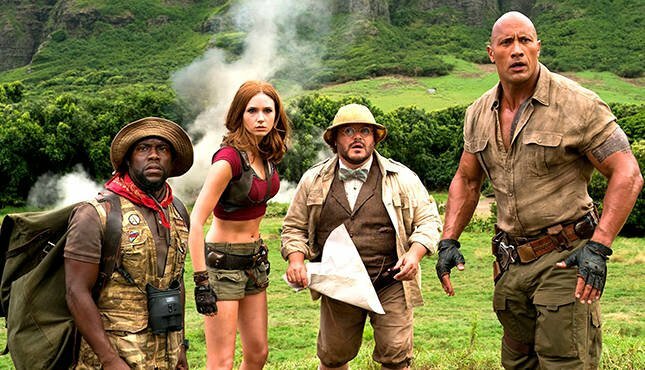 Dwayne “The Rock” Johnson has announced the start of production for Jumanji 3. The star took to Twitter to make the announcement, as you can see below. Jake Kasdan is returning to direct the film, with most of the cast from the Welcome to the Jungle set to return as well including Johnson, Kevin Hart, Jack Black, Karen Gillen, Nick Jonas, Alex Wolff, Ser’Darius Blain, Madison Iseman and Morgan Turner. Awkwafina, Danny DeVito, and Danny Glover will also star. The sequel is currently set to release on December 13th.